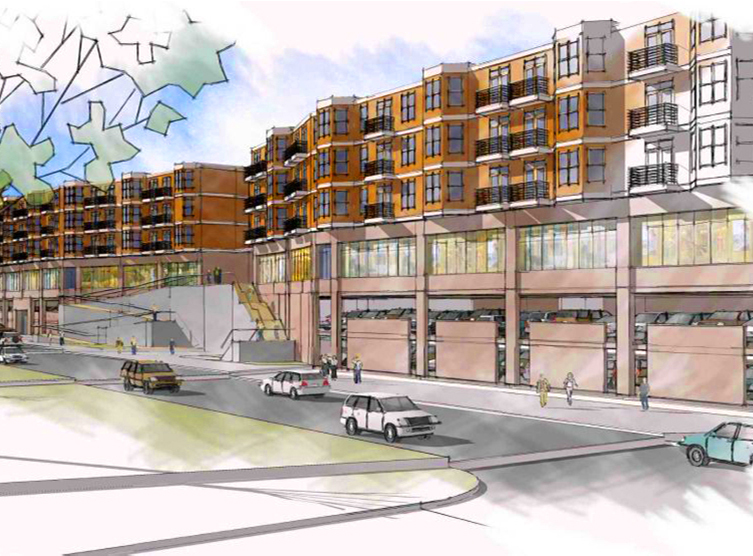 This rendering shows part of Highrock Village, proposed by Paramount Realty Group as a mutli-use complex on the city-owned parking lot between Maple Avenue and High Rock. Saratoga Springs city officials plan to review two expansive, multimillion dollar projects that would–if eventually approved by the city–result in a combination of shops, apartments and parking spaces on the city-owned land along High Rock, Maple and Lake avenues. Representatives of two development groups gave presentations on Nov. 10 at a special City Council meeting. The projects differ, but both specify parking spaces for Saratoga City Center, the general public and residents who would occupy the proposed housing. Parking is deemed by the city as the key segment of any project that comes to fruition on the property, especially a large portion for City Center. Paramount Realty Group LLC in Syracuse presented its $77 million proposal. Hyman Hemispheric LLC of Voorheesville also outlined its ideas, without giving a cost estimate. Though Jeff Hyman of Hyman Hemispheric previously stated his plan is in the area of $82 million. Mayor Joanne Yepsen is assembling, in short order, a technical review committee to assess the proposals. She also said a parking task force will look at overall needs of the downtown area. The flow of traffic and how it would be affected by a major downtown residential-business complex will also be examined. 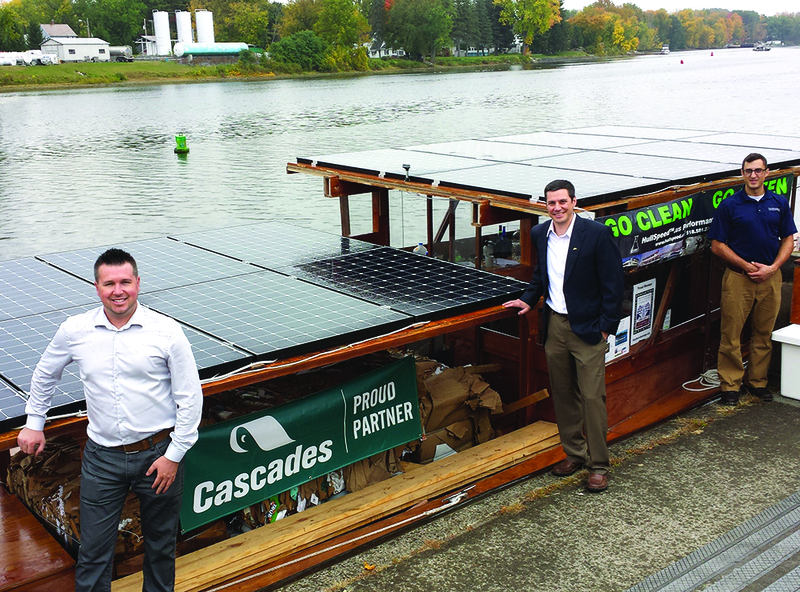 of Greenfield Manufacturing/Hullspeed Performance Marine Coatings aboard Solar Sal. and unloading of the cargo. 20-plus year track record of building brands.